The number of approved medical marijuana ID cards ratcheted upwards nearly 25% only weeks before the first legal cannabis products hit the market in Arkansas. Late Wednesday (April 3), the state Medical Marijuana Commission (MMC) adopted final rules on how cannabis will be transported across the Natural State. Also, as of March 28, the state Department of Health had certified nearly 9,519 patients who have at least one of the 18 medical conditions that qualify for treatment with medical marijuana, up 25% from a month ago. The department began sending out medical marijuana cards to certified patients in mid-February. The newly reconstituted regulatory panel also welcomed its third new board member over the past four months and backed a controversial request to move one marijuana retail location from Prescott to Texarkana. It was not until the end of the MMC’s monthly board meeting that commissioners got a report on when the state’s first medical marijuana dispensary will open after a nearly 2-1/2-year wait. In response to questions from MMC Chair Dr. Ronda Henry-Tillman, Arkansas Beverage Control Director Doralee Chandler said three of the state’s five licensed cultivation facilities are now fully approved to grow or bring in plants. That means Arkansas is only weeks away from delivering product to local dispensaries to sell medical cannabis to the nearly 10,000 qualified patients with medical ID registry cards. “They are expected to have product in April, or late April,” Chandler said, confirming information from MMC spokesman Scott Hardin that Bold Team, Osage Creek Cultivation and Natural State Medicinals cultivation facilities in Cotton Plant, Berryville and White Hall, respectively, have launched operations. Earlier at Wednesday’s meeting, the board seated J.P. Mobley to replace Stephen Carroll, a Benton pharmacist who was named to the commission by former House Speaker Jeremy Gillam, R-Judsonia, in late 2016 only weeks after Arkansas voters overwhelmingly approved marijuana for medical use. Mobley, an advanced practitioner nurse from El Dorado, was recently appointed to the MMC board by House Speaker Matthew Shepherd, a Republican also from El Dorado. In late December and early January, respectively, outgoing Senate President Pro Tempore Jonathan Dismang, R-Searcy, appointed Benton police captain Kevin Russell and Justin Smith, a Cabot nurse, to serve on the regulatory panel. Russell replaced the colorful and sometimes controversial board member Dr. J. Carlos Roman of Little Rock, while Smith was appointed to carry out the remaining two-year term of former MMC Commissioner James Miller, who resigned at the end of 2018. Both of the two-year board tenures of Roman and Carrol officially expired on Dec. 31. Henry-Tillman, who was appointed by Gov. Asa Hutchinson, and Fayetteville attorney Travis Story, are the only original directors still seated on the five-person commission. In early January, the board approved a recommendation to award licenses for 32 medical marijuana dispensary locations across eight equally drawn “Zones.” However, most of Wednesday’s meeting focused on an application in “Zone 8” by RX Med Inc., which wants to relocate its dispensary nearly 55 miles down I-30 from Prescott in Nevada County to Texarkana in Miller County. A month ago, that application was tabled after Prescott Mayor Terry Oliver and the city’s economic development director, Mary Godwin, protested moving the medical marijuana storefront out of Prescott, citing the economic impact and possible jobs for the rural Nevada County community. “We wanted it for the jobs, even if it is just five or six. In a community of 3,200 in rural Southwest Arkansas, that makes a big difference. I know big places like Little Rock and Fayetteville would probably just sneeze at five or six jobs, but not our community,” Goodwin told the MMC at a March 4 meeting. Although Oliver and Godwin did not attend this month’s meeting, the board did receive letters from Sen. Bruce Maloch, D-Magnolia, and Rep. Danny Watson, R-Hope, protesting the move out of Prescott to Texarkana. Watson, who represents Hope, Prescott and other surrounding communities in Hempstead and Nevada counties, said he strongly objected to the transfer of RX Med’s application to Texarkana. “This business entity will be extremely beneficial to the Prescott economy, and in my opinion, a move out of the area would prove detrimental,” he wrote in a one-page letter. Likewise, Maloch’s letter to Henry-Tillman, said RX Med’s transfer should be denied because its original application listed Prescott as its headquarters. “If RX Med had wanted to locate in another area, that should have been listed in the original application,” said Maloch, whose represents Senate District 12. RX Med owners, who did not attend last month’s meeting, told the board they had attempted to find a suitable location for a medical marijuana storefront in Prescott and Nevada County, but were unable to close on a deal on more than 15 potential locations because of strict MMC regulations near churches and schools. 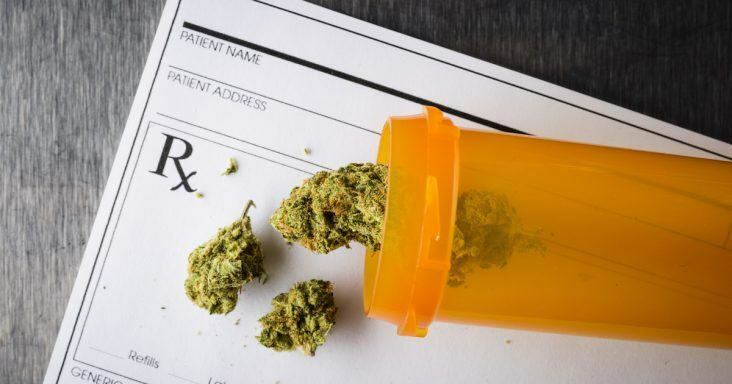 Ross Mash, an RX Med consultant from Chicago, also said the original owner for the I-30 location in its initial application raised the price of its storefront property after learning that RX Med had won one of the highly sought-after dispensary applications. Mash said other prospective deals also went awry after local property owners learned that RX Med would be the lone rural community in Zone 8 offering medical cannabis to Arkansas patients. “We made the decision because we couldn’t find anything in Prescott. It was not as if we looked at one property and then said to Prescott, ‘The grass is greener in Texarkana – let’s go there.,'” Mash told the MMC board, adding that his company worked with Prescott officials since January to find a location. After grousing over their decision for half of the meeting, the commission unanimously approved RX Med’s transfer to Texarkana, where one of the three remaining dispensary locations in Zone 8 will also be located. The other dispensaries in the quadrant are in Arkadelphia and El Dorado. After the meeting, RX Med officials said they hope to have the company’s newly built dispensary in Texarkana up-and-running in about six months. In other MMC business, the regulatory panel also approved the transfer of a dispensary for Harvest and Arkansas Natural’s Products in Conway and Clinton, respectively. Both of those medical marijuana storefronts will relocate to larger and better locations within those respective cities. Harvest officials said they are moving to an industrial site in Conway, away from the former location that was situated near residential areas. That location in Zone 5 will likely be ready for business in early 2020 company officials said. Arkansas Natural’s storefront in Zone 2 is in the county seat of Van Buren County. Despite concerns expressed publicly by Henry-Tillman over the use of the term “distributor” in MMC regulations, regulators also approved final rules dictating how medical marijuana will be transported from the five cultivation facilities to the 32 retail dispensaries across the state. Key provisions in the new licensure rules for medical marijuana transporters include security measures, financial requirements, inventory reports, advertising restrictions, record keeping guidelines, and how products will be delivered to the dispensaries. Transporters will also have to show proof of financial stability, have access to ample cash flow, and no history of bankruptcies over the past eight years. Top executives for the transport companies will also have to go through similar background checks as the cultivation and dispensaries owners. They will also be required to put up a $100,000 performance bond and pay a license and renewal fee of $5,000 annually, MMC officials said. Those rules are now being sent to Gov. Asa Hutchinson for approval. The legislature’s House Rules Committee is also looking to sign off today on Senate Bills 440 and 441 by Sen. Cecile Bledsoe, R-Rogers, both related to the fledgling medical marijuana industry. SB 440 would prohibit cultivation facilities and dispensaries from making marijuana products in the likeness of candy, cookies and other products attractive to children. SB 441 would place similar restrictions on advertising cannabis-related products to children.